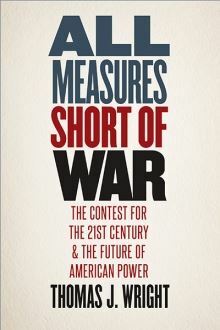 Wright provides a groundbreaking look at the future of great power competition in an age of globalization and what the United States can do in response. If you are busy at the time of the call you may listen to the recording. Offered as a benefit to all current WACA Member Councils such as WAC Inland Southern California, Cover to Cover conference calls are opportunities for Council leaders, members, and supporters to engage with esteemed authors on critical issues.